Palm Riviera (Riviera della Palme), one of the most popular destinations in Italy, lies on the coast of the Adriatic Sea. 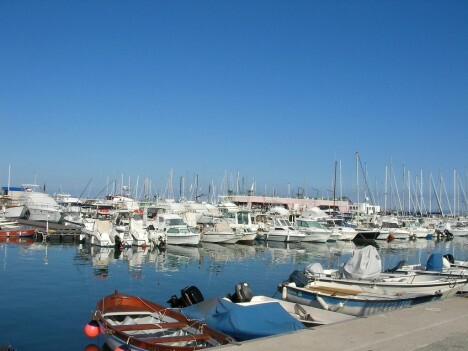 It is located in central Italy in the Marche region and consists of several popular resorts such as Grottammare and San Benedetto del Tronto, which is its main centre. Palm Riviera is lined with long sandy beaches surrounded by azure sea. It is a beautiful natural area with rich vegetation, with beautiful oleanders and up to eight thousand palm trees. Therefore, it is one of the most popular places to spend a wonderful holiday at the sea. 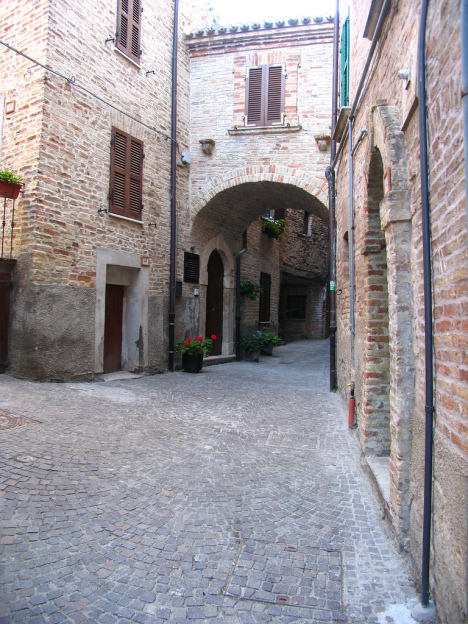 The city, located in central Italy, at the border of the regions of Marche and Abruzzo, was founded in the 9th century BC. 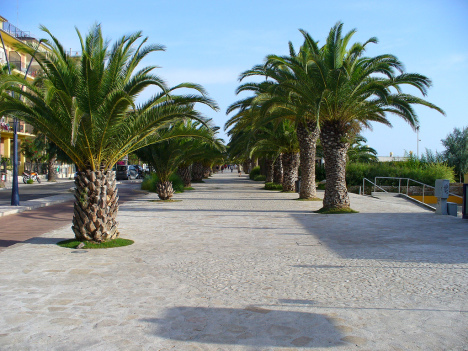 San Benedetto del Tronto is characterized by palm trees that give it really a tropical look. The local sandy beach is 5 km long, more than 50 metres wide, well-kept and very suitable for children. Along the beach is about 4 km long promenade lined with palm trees, with a marked trail for cyclists, lovers of roller skates or jogging. The resort has tennis courts, outdoor and indoor swimming pool, athletics and football stadium, bike renting service, roller-skating rink, Pétanque playgrounds, and several playgrounds for children. There are of course many restaurants, cafes, bars, shops and supermarkets. Pearl of the Adriatic, Grottammare, is already for more than three centuries famous not only for its impressive atmosphere of peace and joy, but also for a great number of historical and cultural monuments, which are carefully maintained as treasure. Hospitality, attentive care of architectural monuments, model of harmonious growth, while respecting for nature and the sea, have all contributed to the fact that Grottammare received important awards, such as “Blue Flag Programme eco-label for Beaches and Marinas”. 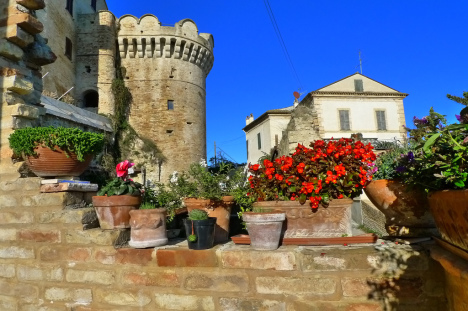 Not so picturesque town with about 11 thousand inhabitants, Monteprandone, is situated 5 kilometers west of the resort of San Benedetto del Tronto. It was built on a hill at a height of 280 meters above sea level and offers spectacular panoramic views of the Adriatic Sea and the surrounding mountains. The resort has maintained its traditional historical appearance – it is surrounded by green pine trees, ancient walls and pristine roads. 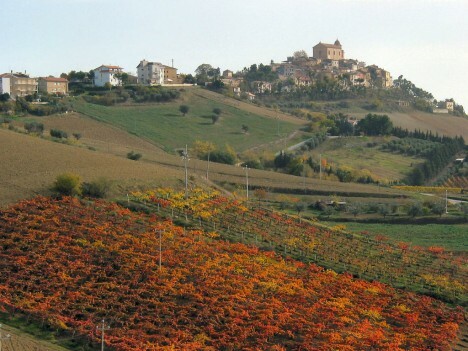 Natural scenery of hills around Monteprandone offers view of the rich vineyard from which the grapes to produce quality wine brands such as “Rosso Piceno Superiore” and “Falerio dei Colli Ascolana”. This area offers easy and good foods such as ham, smoked meat, salami, chicken liver with scrambled eggs, goat cheese, rabbit, lamb chops, etc.